An Alaska Supreme Court ruling has left the state and its persistent nemesis — opponents to oil and gas development — each claiming victory over the court’s interpretation of Alaska’s constitutional obligation when managing natural resources. The issue centers on oil and gas leases issued on state lands. Environmentalists have argued the state’s attempt to streamline the permitting process accommodates industry and the state’s financial interests — Alaska heavily relies on oil and gas taxes, royalties and fees to pay for government — over the concerns of residents and care for the environment. Finding ways to increase oil production continues to consume the political and policy focus in the state, which is searching for ways to foster new exploration and development. Creating a more efficient permitting process is one way the state is trying to achieve these goals. Friday’s Supreme Court ruling casts a question mark over pending legislation under consideration by the Alaska Legislature. Lawmakers, at the request of Gov. Sean Parnell, are looking at a change that would shave months off of the permitting timeline for prospective exploration and development by leaseholders. It’s part of the Parnell administration’s goal of “streamlining” the permitting process, something pro-development interests routinely ask for. 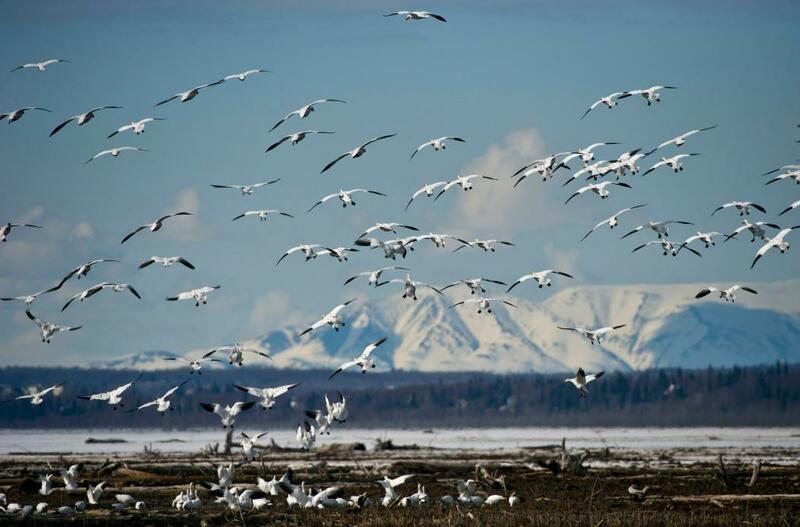 The Supreme Court’s opinion is the final ruling in a lawsuit that began in 2009, when Trustees for Alaska and five other conservation groups challenged the state’s handling of a 10-year area-wide lease sale for oil and gas development in the Beaufort Sea that same year. The conservation groups argued the state acted improperly when issuing a “Best Interest Finding” — a determination that lease sales in the some two million acres of state-controlled water in the Beaufort — part of the Arctic Ocean — were in the public’s best interest. 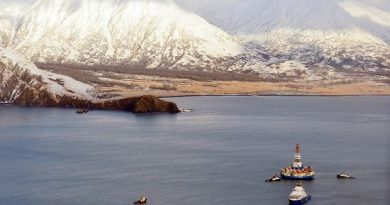 Before filing a lawsuit, Trustees for Alaska and other environmental and Native groups mounted an effort to convince the state to not put offshore waters into the Beaufort Sea lease mix, arguing the potential impacts to the ecosystem from oil and gas development were too great. They worried about harm to marine life, endangered species, coastal and marine ecosystems, and subsistence practices by Alaska Natives living along the shores. They used their voices — public testimony and public comments — to try to influence the process. When that failed, they turned to the courts. Opponents to the sale argued the state had failed to address concerns with oil and gas exploration in violation of a constitutional mandate. The state argued oil and gas projects occur in multiple phases, with the lease phase distinct from future phases when details about specific projects would emerge. For example, a lease sale was considered a different set of circumstances than exploration, development, production or transportation. The first court to take up the matter — the Alaska Superior Court — ruled against the state and wrote that a written “Best Interest Finding” needed to be created for each phase. The state appealed, tossing the question to the state’s highest court. 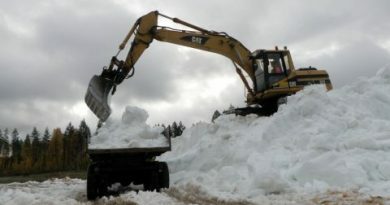 “It would have lengthened our permitting process very considerably,” said Dan Sullivan, who filed the case as Alaska’s Attorney General and has since moved to head of the Alaska Department of Natural Resources. The state Supreme Court reversed the lower court’s decision, but did not go so far as to invalidate the 10-year “Best Interest Finding.” It found the Alaska Department of Natural Resources had acted properly when issuing its finding, even if it isolated its evaluation of impacts to the lease phase itself — a win for the state. But the court also ruled the state incorrectly asserted that it wasn’t required to perform ongoing or cumulative reviews over the life of a project. In its ruling, the Supreme Court clearly stated that in fact the opposite is true — a win for the plaintiffs. “DNR’s position that it is not required to make cumulative impact assessments after the lease sale phase contravenes not only the constitution, but also the legislature’s vision when it created phased review. Although best interest findings in future phases are not required under the constitution, DNR must continue to analyze and consider all factors material and relevant to what is in the public interest after the lease sale phase, including the cumulative impacts of the project, and to provide the public with timely and meaningful notice of its cumulative impacts assessment in order to ensure the constitutional principle of maximum use consistent with the public interest is given effect,” Justice Craig Stowers wrote in issuing the court’s opinion. “We are analyzing our processes to make sure they would comply with the ruling. But it is already important to recognize that we already do significant public-interest evaluation at each stage,” Sullivan said. What remains unclear is how exactly the state should carry out its obligation for cumulative reviews in subsequent phases. Instead, the court only instructed that the state must get it done. This mandate for project reviews at each phase comes as Parnell is pushing for a more broad-stroke approach to DNR permitting. At the governor’s request, the Alaska Legislature is considering Senate Bill 59 / House Bill 129 that would consolidate DNR’s exploration and development approvals into a comprehensive decision issued for an entire geographical area, instead of lease by lease. The theory is the right to explore and develop oil and gas is granted through a lease, and that public input and parameters for operation can be established in a single, broad approval. As long as explorers and developers stay within the pre-established parameters, projects could move forward without additional public review. Plaintiffs in the Beaufort Sea “Best Interest Finding” case believe the Supreme Court ruling jeopardizes the governor’s desired legislative change. “We don’t see this as inconsistent,” said Sullivan, referring to the impact of the court’s ruling on SB 59. In its opinion, the court wrote that it is up to the Alaska Legislature to figure out how the state should comply with its constitutional obligation for review of “cumulative impacts.” And with SB 59, here is a bill addressing those concerns before the very body the court said should be dealing with it. Sullivan doesn’t agree with the view from opponents that SB 59 somehow diminishes meaningful public input. Rather, not only does it allow for an upfront, in-depth review at the beginning of a project, but oil and gas companies looking to move into exploration or development phases will first have to show they are compliant with mitigation measures identified during the lease phase. 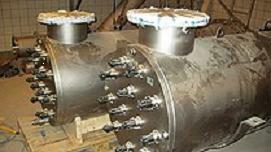 Projects that deviate from the parameters are subject to more scrutiny. Also, public input is taken as projects move into exploration and development phases, but perhaps not as formally or as exhaustively as anti-development interests would like. “They just want to throw uncertainty into the oil and gas leasing process and slow it down, which we don’t think is in the state’s best interest at all,” Sullivan said. The Senate Finance Committee is in the process of holding hearings on SB 59. They resume Tuesday morning.